Those with ragweed allergy may not know the "how" or "why" behind their sniffles and sneezes, but they most certainly know the "when." Ragweed allergy can bring on impossible-to-ignore symptoms. Autumn brings to mind images of cooler weather, leaves changing color and kids going back to school. It may also bring images of nasal congestion, sneezing, and boxes of nasal tissue for those of us suffering from ragweed allergy. Ragweed pollen, which is released from ragweed mostly between August and October, is one of the most important causes of fall hay fever symptoms. Like most causes of pollen allergy, ragweed pollen is spread through the air and is too small to be seen with the naked eye. The pollen is highest during the morning hours, on windy days, or shortly after a rainstorm when the plant is drying out. Where Is Ragweed Commonly Found? Ragweed grows just about anywhere, especially in fields, along the side of highways, and in vacant lots. This weed is especially common in the Midwestern region and along the East Coast of the United States, but it can be found in many other parts of the world, including Europe and Hawaii. 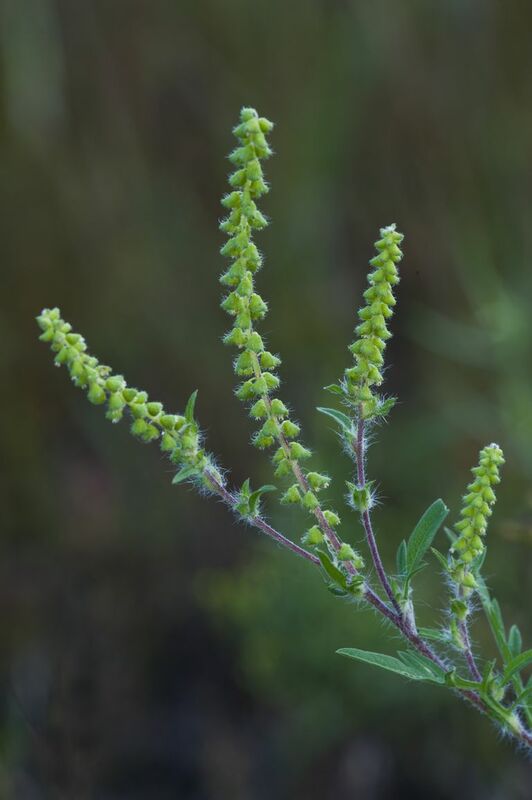 Ragweed allergy, similar to other pollen allergies such as trees, flowers, and even marijuana, may include symptoms of allergic rhinitis, allergic conjunctivitis, and allergic asthma. Symptoms caused by ragweed pollen allergy would be expected to start during August and September and last until October or November, depending on the climate. Ragweed allergy can be related to certain food allergies, since ragweed pollen has similar proteins to certain fruits, such as watermelon, cantaloupe, honeydew melon, ​cucumbers, and bananas. People with ragweed allergy may notice itching and tingling of the mouth and throat after eating these fresh fruits, especially during ragweed season. This condition is termed the oral allergy syndrome, or fruit-pollen syndrome. Allergy shots and allergy drops have been well studied in the treatment of ragweed allergy, and are both known to be very effective. Speak to an allergist about what might be best for you. Minimize early morning activity when pollen is usually emitted—between 5:00 and 10:00 a.m.
Take a vacation to a more pollen-free area, such as the beach or an ocean cruise, during the height of the pollen season. Machine dry bedding and clothing. Pollen may collect in laundry if it is hung outside to dry. Bousquet J, van Cauwenberge P, Khaltaev N. Allergic Rhinitis and Its Impact on Asthma. J Clin Allergy Immunol. 2001;108:S147-344. Weber R. Ragweed. Ann Allergy Asthma Immunol. 2001;87:A4.